Have a look at this great caricature by artist Roy. It shows just how much can be said in a caricature image – truly a picture says a thousand words. 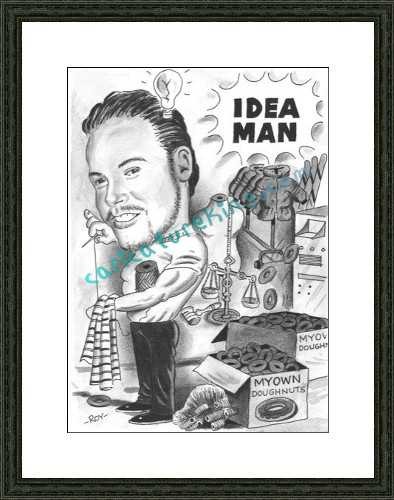 The subject of this caricature was an ideas man (like me!) with lots of great business ideas. The aspect I would like to highlight here is that even a seemingly conservative image, even in black and white can convey huge amounts to the viewer. This caricature was supplied framed.